Zack is the center of my life. So today over dinner I asked him, "what are some things you think are awesome, and why?" 1. 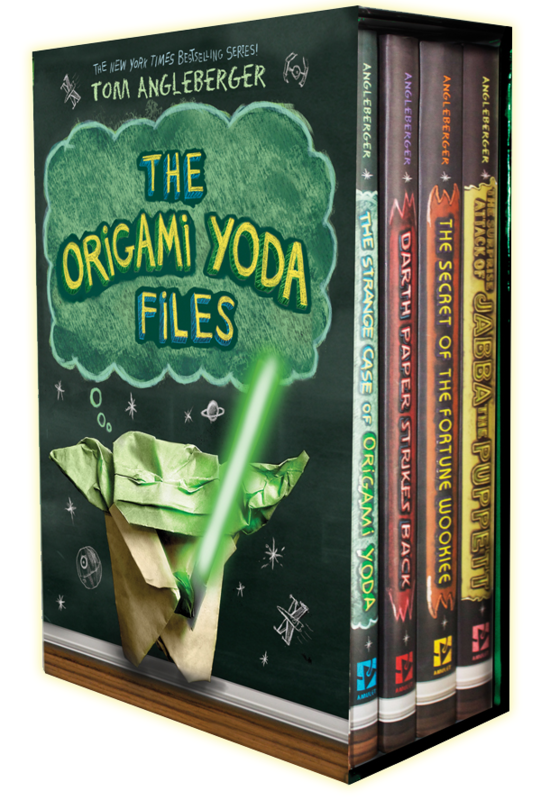 "The Origami Yoda book series. " 2. "Dreams that I wish would be real." When I asked him to tell me one, he wrinkled his forehead and said, "I forget, but at the time, they were awesome." They leave him in a good mood when he wakes up. Then he remembered one where he was in a league of super heroes and another dream where the family went into Wii Sports Resort (a video game, natch) and the cats came in, and they weren't afraid of dogs, so we got a dog. 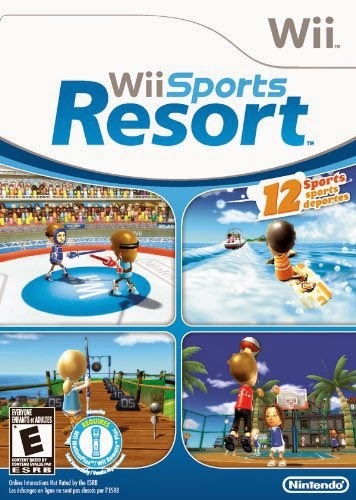 When I asked, "Why Wii Resort?" he said it was because it's set on an island (he's said forever that he wants to go to Fiji, of all places) and there's a ton of fun things to do. I've played that video game with him and I must admit, it was indeed fun. 3. "My Family -- especially you, Mom." OK, let me stop a second, tears. When I asked him to elaborate, he said, "Because no one can replace my family." He said he likes reading with me, doing LEGO with his brothers, riding the tandem bike with his Dad ... and then he said there were just too many things to mention. Our buildings connected together. You can lift each story off to see the detail inside. One of MY favorite memories is when we first introduced this LEGO Christmas tradition to the boys. We set up a six-foot folding table for them to work on, and as I was sitting across the room, I hear the following exchange between Zack and his at-that-time 26-year old brother. Zack: "Are you jealous that I got all the cool stuff in my bag?" For the LEGO uninitiated, pieces are put into a variety of numbered bags to supposedly (HA!) make putting things together easier. I love when I ask Zack questions. The most awesome thing for me right now is that he still likes to talk when we get in the car. No playing iPods or anything like that. We have some of the best (and funniest) conversations, and play Punch Buggy (without the slugging) every time we drive in my own little Bug. Want to catch up on past posts in the 31 Day Writing Challenge? Just click here, and join me every day this month for more stories and photos! 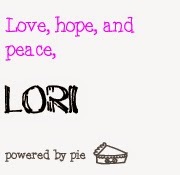 The Love shines through in this post Lori. It made me choke up a bit. It's wonderful when your children have a love of reading. I have always been a big reader. I love my books. I always loved the car conversations with my sons. Zach is awesome. Books, dreams, and family, Zack sure has his head in the right place. 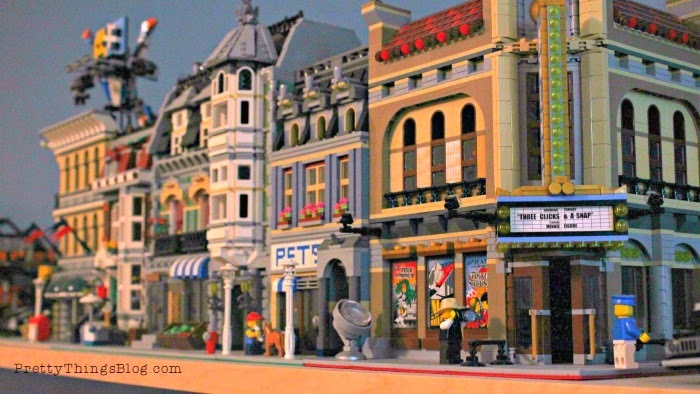 Great photo of the lego setup. You have a pretty awesome kid there Lori! I know that he has his bad days but you & Rick are definitely bringing up a caring young man. I still have car conversations with my son and he is 43. . .and nurturing the same with the grandsons. Awesome post. You've raised a great kid. I'm intrigued about the origami yoda files myself now.